The Group II MVRC Super Vase was won at Moonee Valley on Saturday in impressive fashion by top class young starter Sacred Elixir (3g Pour Moi x Baltika, by Stravinsky) who will start a firm favourite in the Group I VRC Victoria Derby next Saturday at Flemington. 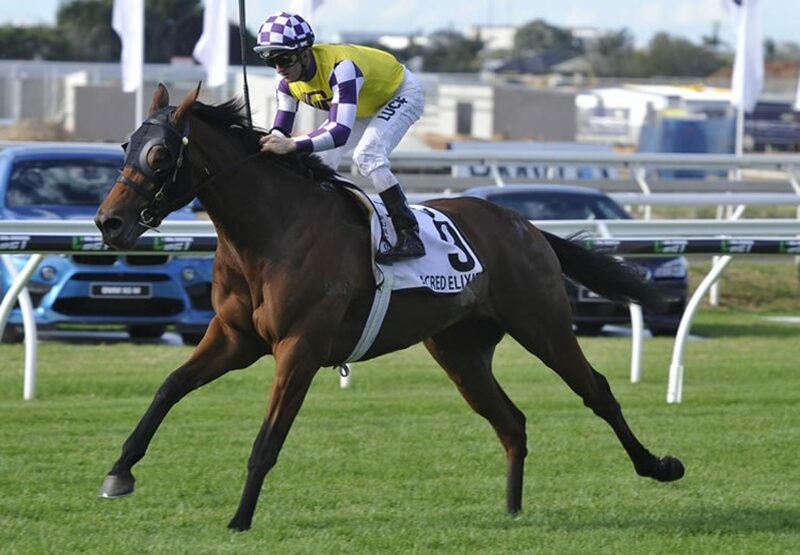 A gelded son of Epsom Derby winner Pour Moi, the Tony Pike trained Sacred Elixir won the Group I BRC JJ Atkins Stakes during the Brisbane Winter Carnival and has been aimed towards the Victoria Derby (2500m) ever since. He powered to the line to win this 2040 metre contest by half a length giving the impression further will be even better. "He was good today but if anything he'll be even better over further next week," said winning rider Damian Lane. "He settled for me today, even though we were closer in the run, and he just got stronger and stronger without it being too hard on him." Trainer Tony Pike said he was delighted to see Sacred Elixir back in winning form. "It's great to see him win like that after being beaten in the Guineas (Caulfield) but he got fired up before the race which didn't help," Pike said. "That was a good strong win, I was a little bit worried he might get pushed down towards the worst part of the track around the turn but Damian did a great job." Pike said he had always felt Sacred Elixir, a son of Epsom Derby winner Pour Moi, would be suited by the Derby distance. "He was strong late here and he should relish the 2500 (metres) next week," Pike said. "He's had a relatively soft run today which is good on a seven-day back-up. He's had a good hit-out and it's onwards and upwards to next week." A $170,000 NZB Premier purchase for Raffles Racing/Mulcaster Bloodstock from the Wentwood Grange draft, Sacred Elixir has won five of nine starts earning in excess of $700,000. Bred in the purple, Sacred Elixir is the first winner for well-bred Stravinsky mare Baltika, a winning grand-daughter of champion New Zealand mare Horlicks from the family of Group I winners Brew (Melbourne Cup) and Fiumicino (Australian Derby). His sire Pour Moi is back at Windsor Park in New Zealand this spring and his oldest progeny are three year-olds.